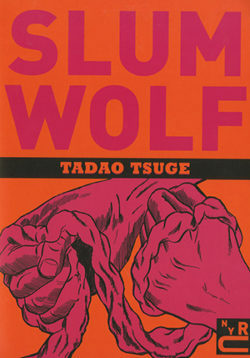 A gritty collection of graphic short stories by Tadao Tsuge, a Japanese manga master, depicting life on the streets among punks, gangsters, and vagrants. With an extensive introduction by translator and comics historian Ryan Holmberg, this collection brings together some of Tsuge’s most powerful work–raucous, lyrical, and unforgettable. Born in 1941 in the working-class Katsushika Ward neighbourhood, Tsuge spent his youth living and working among the bottom crust in labour markets and “ooze for booze” blood banks. He entered the comic field with kashihon rental manga, before making his debut in the monthly manga magazine Garo in 1968. Garo is the fountainhead of experimental and literary comics in Japan, known for championing artists such as the legendary Yoshihiro Tatsumi and Yoshiharu Tsuge, Tadao’s older brother. The younger Tsuge never garnered the same kind of acclaim. However, Tsuge’s first English collection, Trash Market (published by Drawn and Quarterly) led to an international reevaluation of his oeuvre. Slum Wolf is sure to continue the conversation.